Looking to expand or locate in Norhwest Louisiana? You are starting at the right place. Whether it’s existing office space or land to construct a new industrial, commercial or retail facility, Northwest Louisiana region offers a variety of attractive real estate solutions. The NLEDF and our partners in Alliance Northwest are pleased to offer a new real time online information resource about the area’s non-residential real estate.  NWLAProspectoris an online database incorporating demographic and business information to assist companies and/or their representatives investigate our region for suitable buildings and property. Start you search, anytime 24/7, at NWLAProspector.com.